Picnic table made from fully recycled materials making it low maintenance and environmentally friendly! Bicycle Racks Ideal for company bicycle parks, small housing estates, private houses and any.. Recycled Bench - Fully Moulded - Black Bench made from fully recycled materials making it low m.. 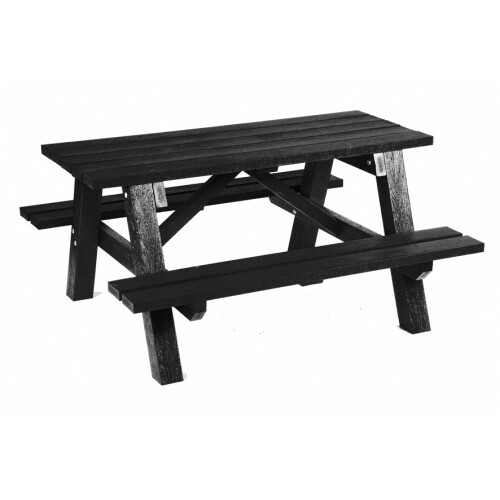 Recycled Picnic Table - Large Round - Black Picnic table made from fully recycled material.. Recycled Bin - Round - Brown Bin made from fully recycled materials making it low maintena.. Recycled Bin - Square - Brown Bin made from fully recycled materials making it low mainten.. Recycled Planter - Square with Corner Posts - Black/Brown Planter made from fully recycled.. Recycled Planter - With Rim - Olive Green Planter made from fully recycled materials makin..